The woman of mystery T-J reporter Nick Lypaczewski writes about today certainly has the hospital board chairman and foundation chairman flustered. Why they can’t even get their stories in synch. To quickly re-cap, Ald. Dave Warden has relinquished his seat on the STEGH board of directors so Ald. Sam Yusuf can move over, freeing up his spot on the foundation board for his girlfriend. STEGH board chairman Bruce Babcock insists city council is behind the musical chairs, but that doesn’t pass the litmus test. In a conversation with City Scope this week, Warden didn’t pull any punches. In a week filled with grim economic developments, news of Algoma University’s proposal to open up shop in the former Wellington Street Public School is an intriguing scenario. While it will not be hailed as a significant job generator, the undertaking is notable for nudging the city down the path of diversification. University president Richard Myers is looking to utilize the city-owned heritage building as a campus offering the first two years of its bachelor of arts program. Ontario’s auto industry is facing ongoing consolidation with the upcoming closing of a Ford Motor Co. plant in St. Thomas in 2011. 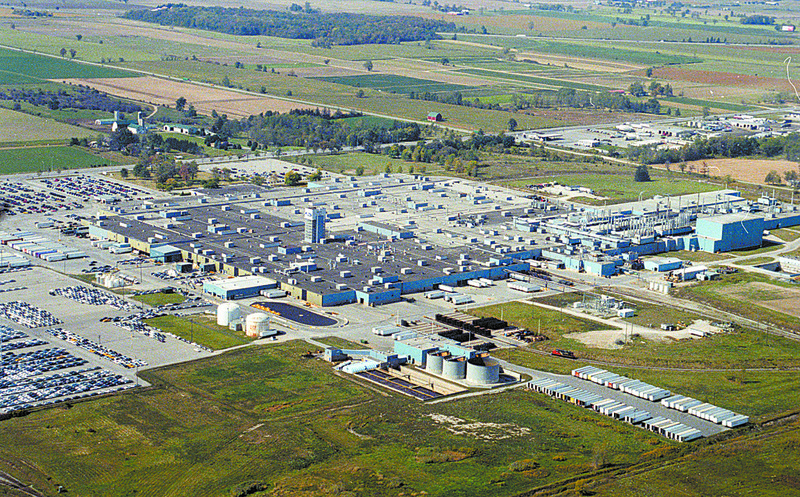 Last year, General Motors Corp. closed a light truck plant in Oshawa. Auto analyst Dennis DesRosiers, president of DesRosiers Automotive Consultants Inc. in Richmond Hill, Ont., says Ontario’s auto industry has lost 50,000 jobs since 2006 and has been hurt by long-term structural change as well as cyclical issues related to the economy. It is also becoming increasingly difficult to compete with lower-cost plants in parts of the U.S. and Mexico that are not unionized, he says. As a result, he expects Canada’s share of total North American auto production — virtually all of which takes place in Ontario — to drop to as low as 12% during the next four to five years from its current perch of 16%.